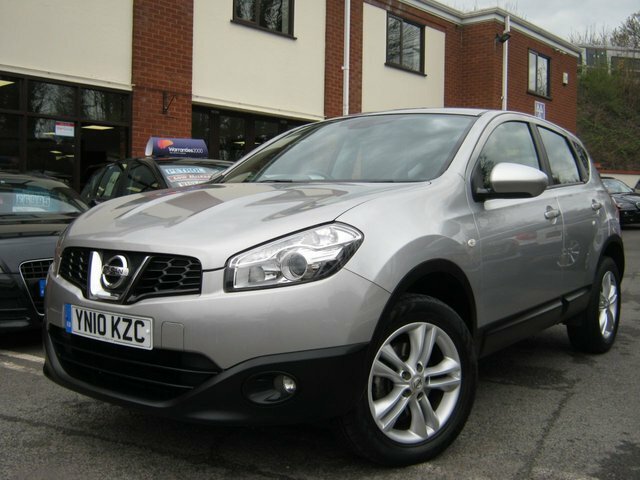 This excellent 2010 10-Reg Nissan Qashqai 1.6 Acenta has coverd just 57,000 miles from new with FSH,presented in gleaming silver with black cloth trim and a nice spec! extras include factory fitted bluetooth phone prep,cruise control,digital climate control,reverse parking sensors,Xenon headlamps,alloy wheels and cd player, superb condition with nice normal 1.6 petrol engine!!! New Shape, New Styling and New Technology....!!! 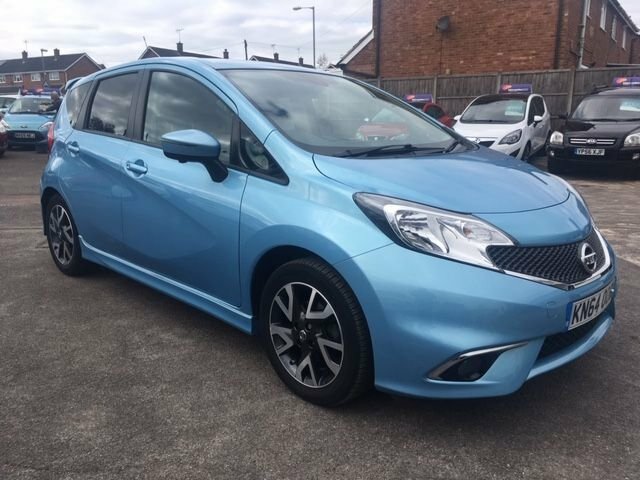 This super smooth 2014 Nissan Note 1.5DCi Tekna Edition is pretty loaded and comes with a whole host of extras....!!! Covered just 52000 miles this 5dr Spacious Hatchback has the Tekna Styling Pack meaning, Unique Bodykit Styling and Black/ Diamond Alloy Wheels and looks stunning !!! Also features 1/2 Leather Interior Trim 5 Speed Gearbox, Climate Control, Power Steering, Cruise Control, Colour Sat Nav, Keyless Go, Touch Screen Monitor, Rear Park Cameras, Front Parking Assist, Daytime Lights and Blind Spot Assist - THIS INCREDIBLE CAR IS £0 TAX AND RETURNS NEARLY 90 MILES PER GALLON...!!! 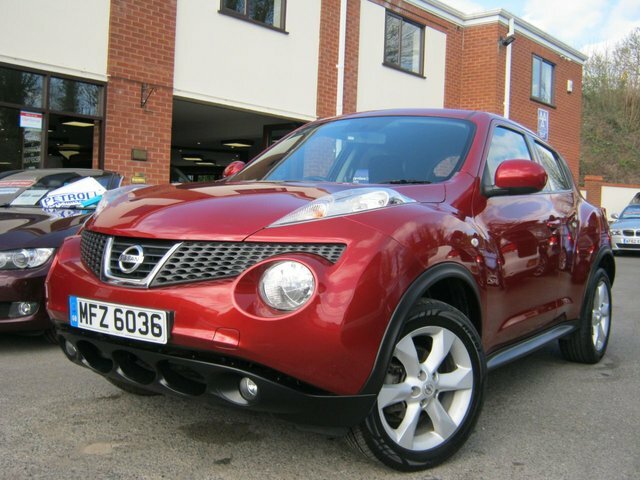 This stunning little 2013 Nissan Juke 1.6 Acenta has covered just 41,000 miles from new with FSH,it is presented in unmarkd metallic pepper red and comes with a ice spec! extras include factory bluetooth phone prep,cruise control,digital climate control,rear parking sensors,USB/Aux interface,cd player and alloy wheels,price also includes private plate shown on the car,amazing condition with nice normal petrol engiine!! be quick!!! If you're looking for a fun city car, a spacious family hatchback, a sporty crossover or a serious off-roader, Nissan is a manufacturer worth serious consideration. The Nissan Micra is a class-leading supermini, while the firm's Juke model set the standard for crossover vehicles. Browse the complete range of used Nissan cars for sale in Worcester here on our website and let a member of our team help you find a great deal on your next pre-owned vehicle. Here at BJH Motors and Sons we have a reputation for supplying quality used cars at affordable prices and we ensure that every vehicle is thoroughly tested before going on sale. Start the search for your used Nissan today.